Friends and newcomers have asked for additional registration options hoping to be able to attend WE! Now a Single Full Day Option Package and a Half Day Option Package are available. Find out more here and don’t forget to let your Friends know! Transportation Help Getting To WE! Please read about the important transportation details. We need to finalize our shuttle bus schedules from Newark airport to the convention site and we need your help. We need to know your transportation details so we can include you. We can only give you a ride if we have your details asked for below. Please make sure your flight and contact information is complete and correct; otherwise, we can’t guarantee that we can give you a ride. If you are arriving at JFK or LaGuardia airports, let us know. We don’t have buses scheduled at those airports, but you can take inter-airport ground transportation and catch our Newark to the convention site shuttle bus. But we need to get you on the schedule. If you want to be included on a bus we are organizing to transport friends from our Brooklyn Center (at 2009 85th St), you need to reserve a seat. New How-To Book For Parents Premiers At WE! 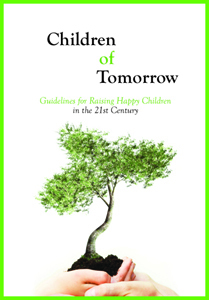 Children of Tomorrow: Guidelines for Raising Happy Children in the 21st Century available for presale online and pickup at WE! Michael Laitman, Professor of Ontology, PhD in Philosophy and Kabbalah, and MS in Medical Bio-Cybernetics has a vision of a new global education based on providing children with an approach to life in which they view the world broadly and inclusively. In Children of Tomorrow, Dr. Laitman explains how relating to children as small grownups through the use of games and play helps them become successful, confident adults. Dr. Laitman will be available to sign books and answer questions at WE! Find out more about his new release here. It can be purchased online and picked up at the 2011 World Kabbalah Convention. Children of Tomorrow is one of three new books to be made available for the first time at WE! New Music Releases for WE! 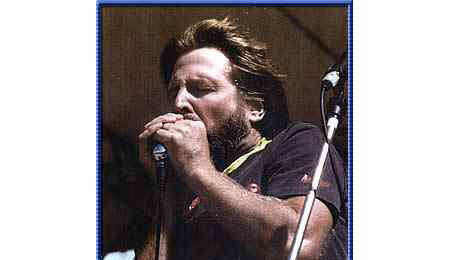 Jim McClaren of the St. Louis Group to perform at WE! The musical talent assembling to perform live during the WE! opening ceremony and cultural evenings will feature both new and classic Kabbalah favorites. Jim McClaren of the Bnei Baruch St. Louis Learning Center announces a new and original composition titled “I Need You” for debut at WE! A list of songs to be performed including lyrics is regularly updated at the WE! Convention Registration site. The songs are free and available for download. Access the list and download here. Register for the 2011 World Kabbalah Convention here. Revolutionary New Zohar Book Debuts At WE! Available for presale and pickup at WE! Dr. Michael Laitman’s newest book on the Zohar to electrify WE! Convention. The excitement is mounting as people worldwide prepare to connect at WE! and unite in a single harmonizing force. The anticipation is electrified exponentially by news of the release of Dr. Michael Laitman’s newest book, Unlocking the Zohar. The Zohar is the chief and fundamental text for restoring harmony in the world; however its arcane and allegorical language had deterred all but the most advanced Kabbalists from revealing its secrets. Now for the first time in history, a Kabbalist comes forward to make its mysteries knowable to any person desiring its wisdom. In Unlocking the Zohar, Dr. Laitman provides explanations and detailed examples enabling students to unlock its code and decipher its meaning. Dr. Laitman will be signing books and answering questions at WE! Find out more about this new release here. It can be purchased online and picked up at the 2011 World Kabbalah Convention. Unlocking the Zohar is one of three new Kabbalah books premiering at WE!